Yesterday morning after dropping Chloe off at school, Allie and I headed over to the Weston Aspirus Clinic to get her blood drawn. Allie and I both hate having to get her blood drawn, it seems like every time they do it, Allie gets more and more mad. Now that she is 2 1/2, she knows what is happening and she knows it's going to hurt. On the way there, Allie asked where we are going. I accidentally said, "to the doctor to get your blood drawn". She started crying, "no, no blood drawn" It was downhill from there. We waited for a half hour in the lab waiting room and the whole time Allie was saying, "no blood drawn". She must have been driving the other patients crazy but I couldn't get her to be quiet. Allie knew what was coming next and she thought if she repeated it and repeated it, I wouldn't make her do it. Poor little Allie, no matter how many times she said, "no blood drawn", she still had to do it. When the lab tech came out and called Allie's name, Allie started screaming. She wasn't going in there without a fight. I held back my tears and calmly told Allie it would be okay and picked her up and carried her into the lab. From there, all you could hear were screams! - immediately after her blood draw and everyone let's her go, she stands up and says, "THANK YOU". Ohhhhh....our little Allie is quite the stinker. She put up a good fight in the lab yesterday but the lab tech won. They got the blood they needed to run all of the tests and we should have results in 7 -10 days. After her blood was drawn, Allie was fine. She was showing everyone her new sparkly bandage and kept saying, "boo boo". Each blood draw is a bit worse than the previous. I'm praying this is the last time they need to draw blood for a while!!!!! It breaks my heart seeing her go through these things and I pray it will all end soon. We had a scheduling conflict with Allie's patch allergy testing so I had to call and reschedule. 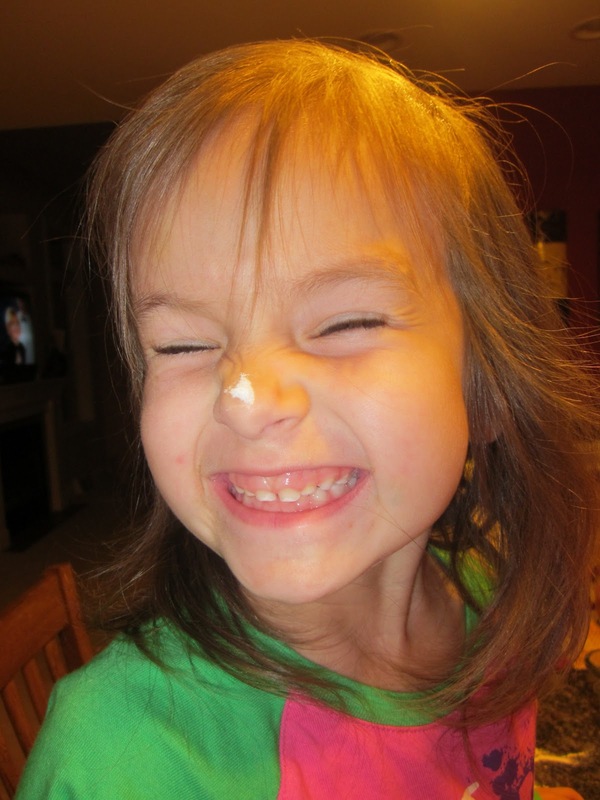 Allie will now have her patch testing December 20th - December 23rd. Not a great week for it since that's the week of Christmas, however the ENT doctor called the GI doctor and they both agreed that we shouldn't wait until the new year. They wanted it done ASAP. Thank you to all the mom's out there that let me know about your child's experience with the patch testing. From what it sounds like, the testing can be quite painful and unpleasant for the little one's. Of course the doctor told us it wouldn't be bad and there would only be very very very mild discomfort. Hmmm...I think I'll believe the actual TRUE stories of people that have had this testing done. So, thank you for sharing because now I can be prepared!!!! After Allie's traumatic day at the lab, we ended it with putting up the Christmas tree. I know it's a bit early but I want to be able to enjoy it. 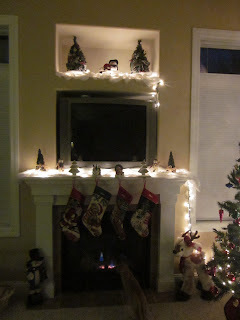 Christmas comes so quickly and like everyone else, I'm running around like crazy trying to get everything done and perfect for the holiday season, so I figure what they heck - get the house decorated so we have time to enjoy it. 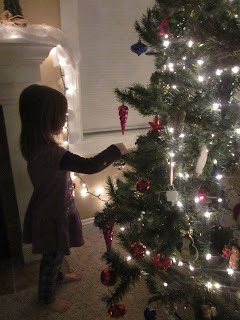 Here are a couple pictures of the girls decorating. They had a blast and did a great job. Snickers helping - poor Snickers had to get blood drawn today also. He was throwing up blood so he had to go to the vet. He seems pretty happy tonight though. Good helpers! 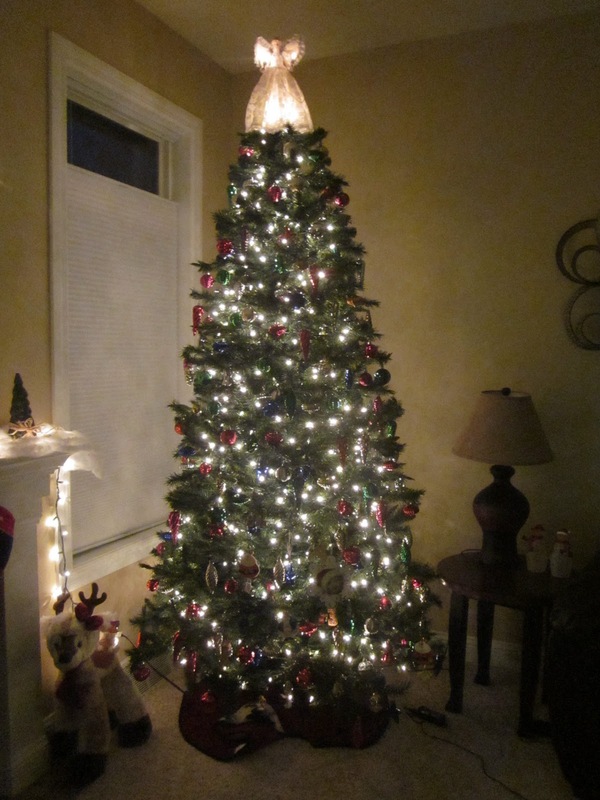 Only problem is they only put ornaments on the bottom part of the tree - lol. 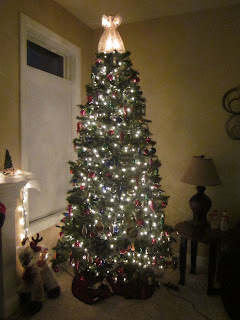 Girls helped me decorate this too - they are so excited to get their stockings stuffed! Allie met with an ENT Specialist last Wednesday. I really had no idea what to expect since we had never been to a doctor like him before. To my delight, it went great. The doctor was very knowledgeable and took a lot of time with us. He walked into the room, introduced himself and said, "I know all about Allie - several doctors in the area have contacted me about her case". Hmmmm....not sure if that's a good thing or a bad thing but since he knew all about her, it was nice to hear the doctors take on her story. Basically he heard her story correctly and knew all the tests and procedures that were previously done. He even knew about the abundance of pseudomonia bacteria in her stool - pretty impressive I think. 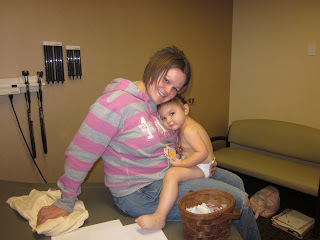 Anyway, Dr. Edmonsen (ENT Doctor) wasn't letting us leave his office that day without starting allergy testing for Allie. Allie had food allergy tested (via blood) at the Mayo Clinic and she wasn't allergic to anything. Dr. Edmonsen isn't a fan of the blood test so he wanted to do the skin testing right away. So, poor little Allie endured 20 pokes in her back and sat there for 20 minutes while her back itched and burned. But, the outcome was good - no allergies. Here is a list of what they tested her for: milk/ soy/ corn/ beef/ chicken/ wheat/ potato/ egg/ oat/ rice/ peanut/ cashews/ shrimp/ and cod. Not a one (besides the test poke) created an allergic reaction. To be honest, I wasn't surprised. Like I mentioned before all of Allie's tests come back NORMAL!! 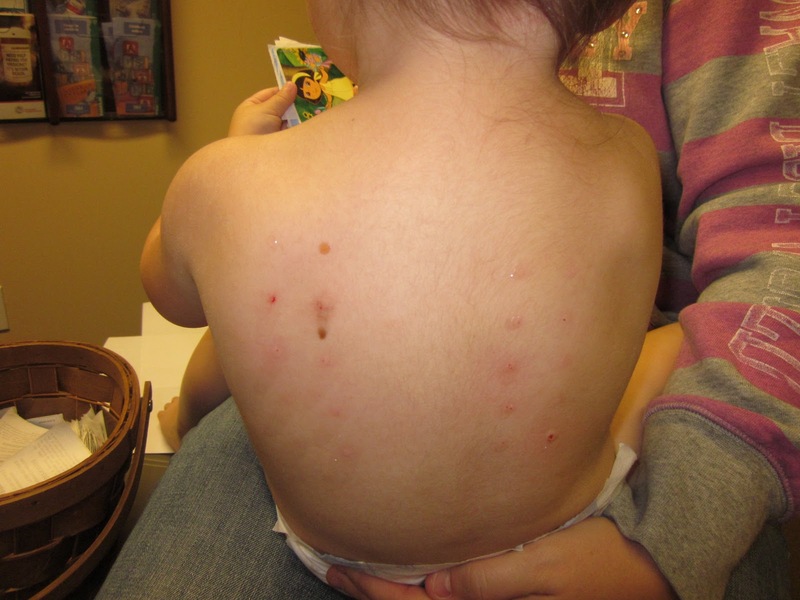 Per Dr. Brown and Dr. Edmonsen's recommendations, Allie will have further allergy testing via the patch method. According to Dr. Edmonsen, your body reacts to allergens in two ways 1) reacts immediately (blood or skin test) 2) reacts within 48 hours/delayed type reaction (patch test). The 48 hour reaction is more severe and more often goes undiagnosed because according to Dr. Edmmonsen, "they only do patch testing on very medically ill or medically challenged patients". But....Allie is a great candidate for the patch testing - thank goodness. When your body reacts to an allergy in 48 hours, it creates eosinophils - which was found in Allie's esophagus during all 3 of her previous endoscopy's. So, Dr. Edmonsen is guessing Allie has a severe allergy to something it's just a matter of figuring it out. If she is allergic to something and is diagnosed with EE (Eosinophilic Esophagitis) that could be the whole reason she doesn't like to eat orally. I don't want to get my hopes up because there is still a high chance Allie doesn't have EE but it is a possibility - plus having EE is not a great diagnosis, it means a medical condition for life. However - it would give us answers and at this point, answers is what we are searching for. 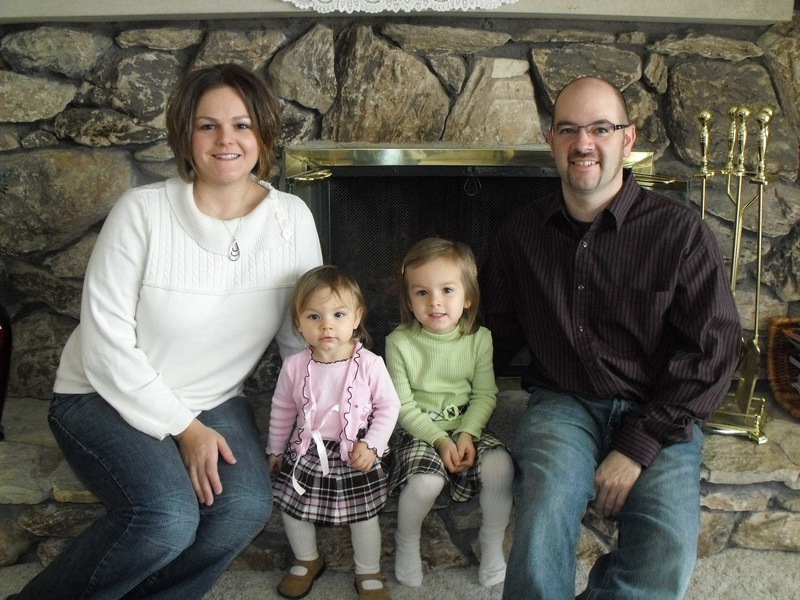 Before we left Dr. Edmonsen's office, he highly recommended us to proceed with Allie's colon scope and endoscopy. He is not a GI doctor but he was very surprised that Allie has never had a colon scope done before. He said that Allie's colon could be full of eosinophils and that would provide a lot more information as to why she doesn't eat. So, since two doctors are recommending these procedures, Matt and I decided to proceed with them. I hate to put Allie through this - it breaks my heart but if it provides us answers, it will be worth it. Allie's patch testing (allergy testing) is scheduled from December 14th to December 17th, however the only date to get her in for her endoscopy and colon scope is December 17th - so we might have to rearrange her patch testing date. One of the above is suppose to test for a gluten sensitivity - this is another possible diagnosis. We were suppose to get her blood drawn last Wednesday but after having the allergy testing, I couldn't put her through anymore that day so we opted to avoid the blood draw until Monday. Allie gets so traumatized going to the doctors office it's awful. 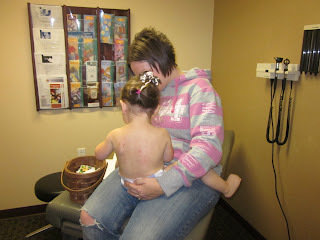 I'll end with a couple pictures of Allie getting her skin allergy testing. She did pretty well and even cracked a smile several times - she's such a tough little girl, I'm so proud of her! Allie was very mad at the nurse! This is what her back looked like 20 minutes into the test (basically the end) - nothing too exciting besides the test poke on the bottom right. I cannot believe it's Thanksgiving tomorrow. I am very excited to spent time with family and friends over the next 5 days. Thanksgiving is all about food and giving thanks. This always used to be my favorite holiday, I think partially because it's the beginning of the holiday season yet not everyone is running around like crazy and of course you always have a delicious meal with plenty of leftovers. After Allie was born, my outlook about Thanksgiving changed slightly. Not dramatically but slightly. There is something enjoyable about all gathering around the table and enjoying a delicious (huge) meal with family and everyone stuffing themselves till they no longer feel good. It's tradition!!!! I'm not sure how to put this but.......it's very emotionally hard to sit at a Thanksgiving meal and watch Allie NOT EAT. It just doesn't make sense. It breaks my heart to see all this wonderful food that someone has worked very hard to prepare and she won't even eat more than 2 bites. It breaks my heart to see that she doesn't get enjoyment from food and that she doesn't know she requires it to live. You would think that with all different types of food offered on Thanksgiving our little Allie would enjoy at least one of them. For those of you who have a child that doesn't eat, or wants to eat but for some reason cannot, you know what I'm feeling. There is an ache in my heart every time we sit down for a meal but sitting down for a Thanksgiving meal is even harder. At this point, there is nothing we can do about Allie not eating, we will just present her a plate with food and encourage her to eat. Of course we do not force her to eat, it's her choice to eat or not. I know we will have a wonderful Thanksgiving with family and everyone except Allie will stuff themselves until they are uncomfortable, however I will quietly be sad, upset, angry and feel helpless because Allie won't eat. 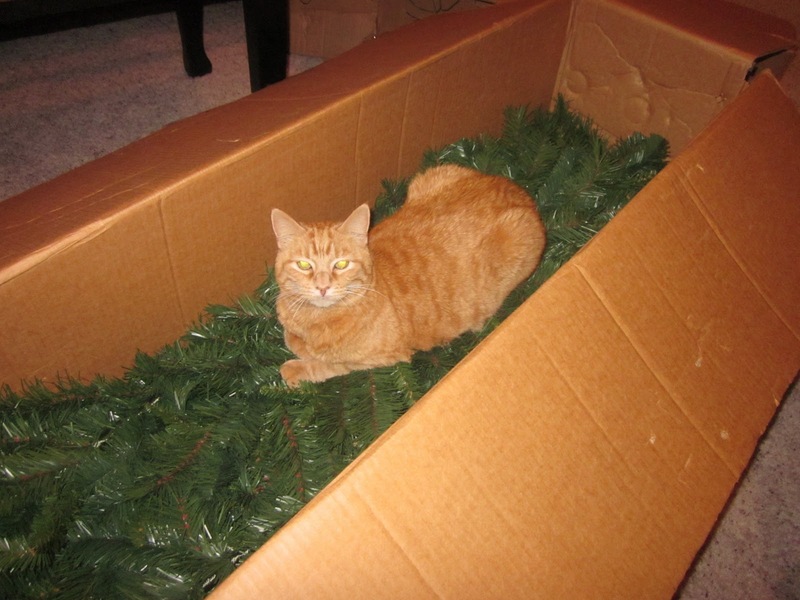 I cannot wait for Christmas because at least at that Holiday, Allie is no different than anyone else. 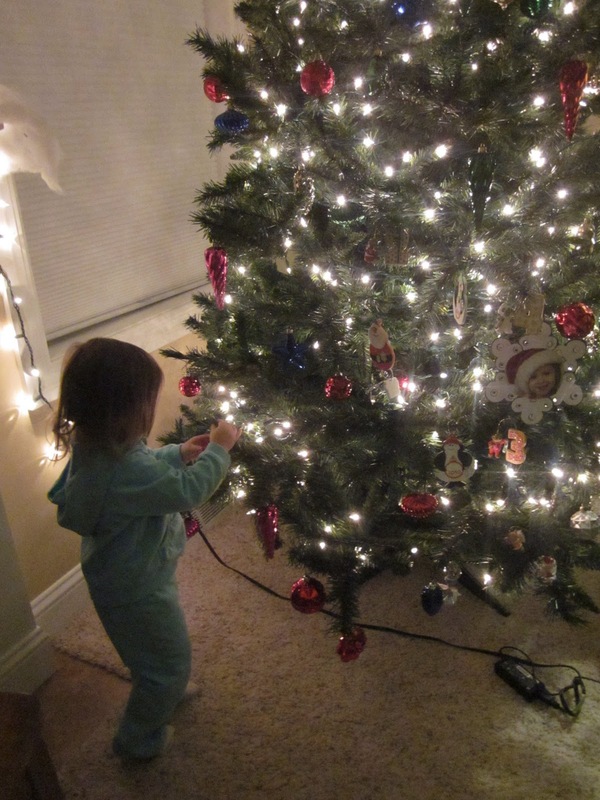 She is just a little kid enjoying everything Christmas offers! Allie had speech therapy this morning at 9:00 and then we have an appointment with her new ENT Specialist. Of course there are new concerns by her speech therapist with the amount of gagging Allie has been doing, however I will write about that at another time. I'm very anxious to see what Dr. Edmonson (ENT Doctor) thinks about Allie. This is the first time she is seeing an ENT doctor so I hope it goes well. I'm not really sure what to expect - this is new territory for us, however I'm sure everything will go great. I'll update with what we find out. We hope everyone has a blessed and wonderful Thanksgiving. For those of you traveling, please travel safe! We hope to see many of you over this Thanksgiving Holiday! 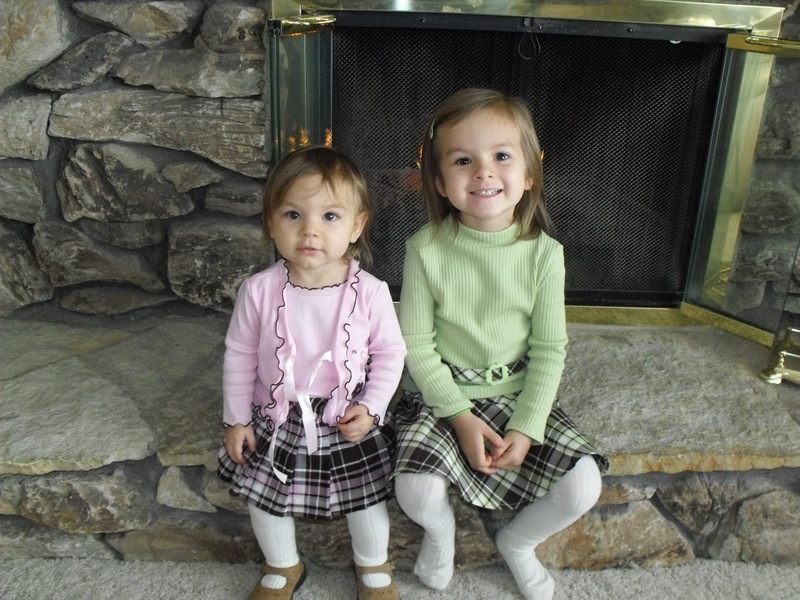 Here are a couple pictures from Thanksgiving 2009. 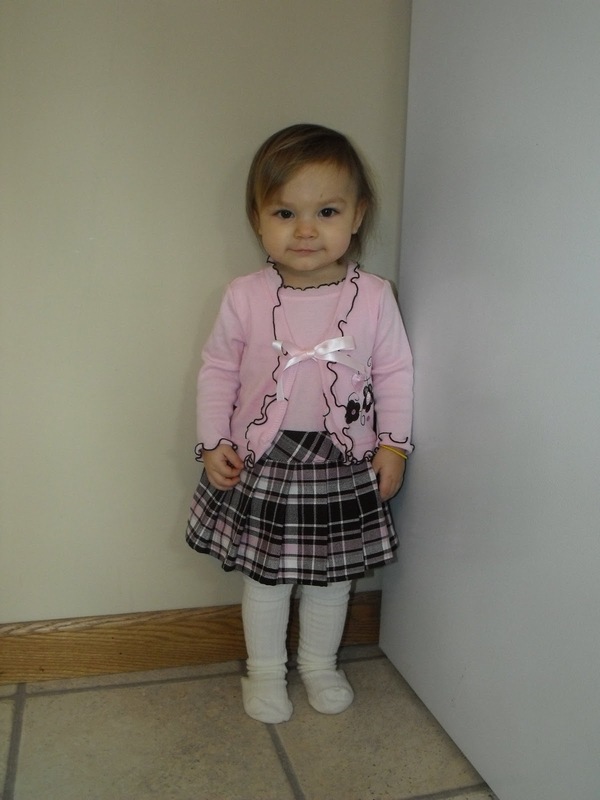 Little Allie Rae - you can see how short she is by looking at her feet. Her tights were super long for her. Got them both smiling even though Chloe's smile is cheesy. As many of you know, I have been trying to decide if the Children's Hospital of Wisconsin is currently the right fit for us and if they are doing enough to manage Allie's medical care. There is no doubt that Dr. Rudolph and the whole feeding team at CHW has provided great care for Allie, however in the past 6 months, I feel there is something lacking. There has been no advancements in Allie's medical issues - no new tests have been run and the only thing that has changed is her feeding schedule. With every appointment, our feeding team was tweaking her feeding schedule and all it did was cause more vomiting and an upset Allie. I don't want to say that the CHW hasn't done anything for Allie because that would be a lie. They have helped us through many difficult times and have ran many important tests on Allie to help us find a diagnosis. Dr. Rudolph and his team has worked very hard for Allie but honestly I think she has their medical team stumped. They don't know why she doesn't eat and they have exhausted every test to help determine this. They don't really know what direction to go in next, they are winging it like we are. On numerous occasions, they have admitted they don't know why Allie doesn't eat and they keep telling us we might never know. There is nothing wrong with a medical professional that cannot diagnose someone but as Allie's mother, it's very important to me to know when they are done searching for answers for her. If they are done, it's my decision to keep searching or to just accept things they way they are. For those of you who know me well, you know I will never give up. I may start accepting the fact that Allie is tube fed and at one point stop searching daily but like every other mother out there, we will never give up. 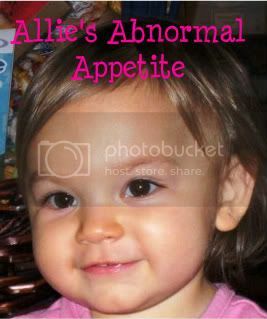 At this point, I am still determined to figure out why Allie doesn't eat and honestly I spend 2-3 hours daily on the computer doing research in hopes of finding a disease, syndrome or something else that may be causing Allie to avoid food at all costs. Do I like doing all of this research and letting it consume my life - NO - but at this point in the game, I feel it still needs to be done and I am the only one who is going to do it. Since I am no longer getting the warm and fuzzy feeling from the CHW, I solely made the decision to find medical care elsewhere. We went to Dr. Brown here in Wausau for a 3rd opinion and in the back of my mind, I was hoping he was a good fit so he could take over Allie's medical needs. As you know from my previous post, Dr. Brown is treating us great and really cares about Allie. After our appointment yesterday, I made the important decision to stop treatment at the Children's Hospital of Wisconsin. We had an appointment set at the CHW for December 1st. I called the scheduling office and cancelled that appointment and told them I wouldn't be needing to reschedule. Of course I had to call our nurse so she would be completely informed and she could let Dr. Rudolph know. I spoke to our nurse (Mary) just a little bit ago and she was surprised to hear we are leaving. She said she would inform Dr. Rudolph and if he had any questions, he would call me. So, I breathe a little sign of relief tonight because I was hesitant on making the decision of not returning to Children's. It's a big decision to decide who takes care of Allie's medical needs and as her mother, I just want to make the right decisions for her and her care. The best part is, Dr. Brown used to work at the CHW and he's one of the GI doctors that help set up the feeding teams. He knows Dr. Rudolph and said he would work with him if needed . So these things put my mind at ease. 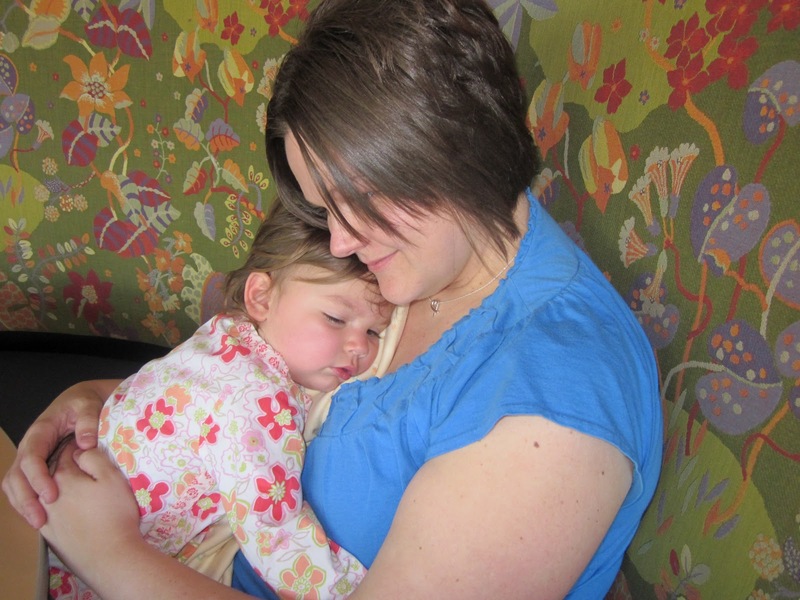 After all, Dr. Rudoloph is the first GI doctor to know Allie from the very beginning so it's hard to leave someone who knows her complete medical history. However, I have thought about finding new medical care for Allie for a while now so I have done my research and really thought about this. After all, I am the one who has Allie's best interest at hand. Nobody is going to care for my child like myself and Matt and we have to do what is right for her. Every decision I made is for our little Allie Rae. I can only pray that when she grows up, she will understand the reasons we have made all these decisions and the reasons we have decided to proceed with pursuing a diagnosis for her. 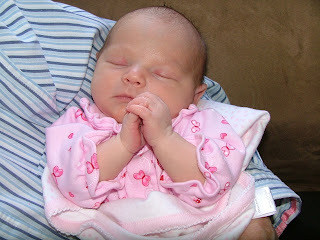 Here is Allie Rae a couple days after she was born. Allie's appointment this morning went well. It was a long appointment but a lot of stuff was discussed and we have made some decisions on her new medical plan. Dr. Brown seems to think that Allie "may" have Eosinophilic Esophagits (EE). This is where there is irritation in the esophagus due to some type of allergy. The best news is that according to Dr. Brown, most of the time this is treatable with just medication. Granted it would probably be medication for life, but it could be worse. Dr. Brown thinks she may have EE due to the fact on all of her previous endoscopy results, she had eosinophils in her esophagus. These eosinophils were more concentrated on the upper part of her esophagus, however she did have some on the lower portion also. Since all of the previous doctors we have seen have reviewed her endoscopy reports and never questioned the eosinophilis in her esophagus is quite alarming. This is the first thing Dr. Brown questioned when he reviewed her records. Today, Dr. Brown confirmed that if Allie has EE, this is reason enough to cause her to not eat orally. So......our first step is to see a Ear, Nose & Throat Specialist. We were referred today and they scheduled an appointment on December 15th. I wasn't happy with that date so I called the ENT Specialist and they can get us in on Wednesday at 2:00. This alters our plans for traveling home for the holiday, however we decided to go with the appointment and arrive in Esky a little later than expected. The ENT Specialist will perform extensive allergy testing on Allie. She did have food allergy testing at the Mayo Clinic (via blood) and no allergies were found. This Allergist will perform extensive allergy testing, including looking for food allergies and environmental allergies. According to Dr. Brown, Allie will most likely be tested using the patch method. This method is the most comprehensive and reliable. 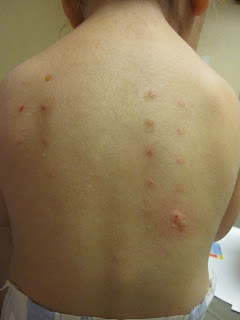 He said that blood tests and prick tests do not always show positive allergens but the patch test will. While they will be drawing blood to check for several other things, Dr. Brown will also be checking Allie's antibodies for any gluten sensitivity. He said that it's somewhat likely that Allie has a sensitivity to gluten which makes it very uncomfortable to eat. The reflux scan will be checking for any reflux she may have. 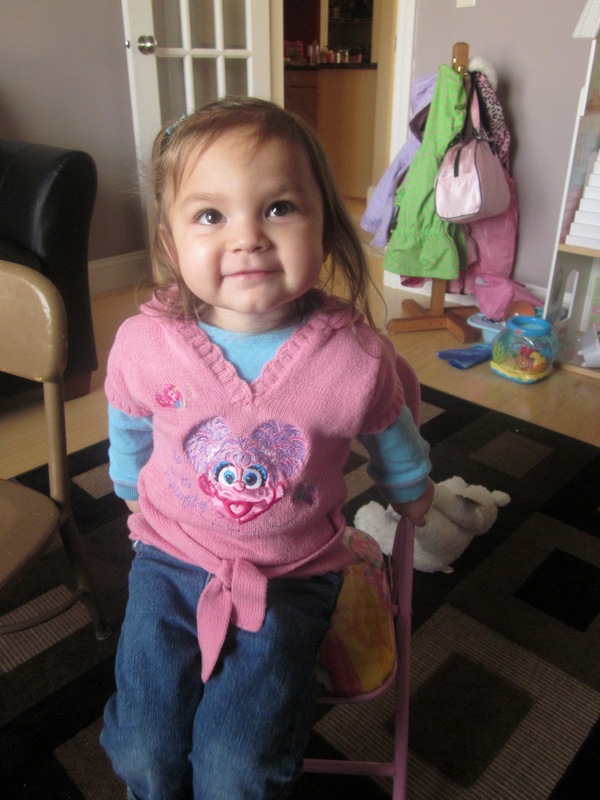 Allie was originally diagnosed with reflux but medication didn't help at all so the doctors never did anything more with it. The gastric emptying test would be performed to check the function of her stomach emptying. We know it was delayed previously but at this point in time, we really don't know how it's functioning. Delayed gastric emptying can be the whole reason for all of her vomiting. Since this test will expose Allie to a lot of radiation (and she's already had a large amount of it), we could opt to just put her on medication to improve her gastric emptying. We haven't made any decisions on this yet. Allie was previously on Erithromycin to help her stomach empty but we didn't see any improvement with the medication. CHW suggested we try Allie on Reglan, however due to the possibility of major site effects, we decided not to proceed with that drug. 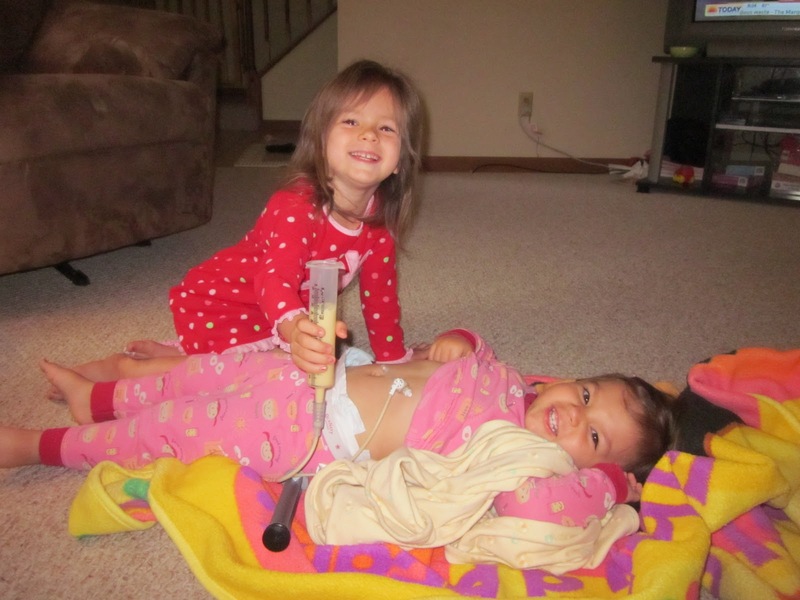 The colon scope would be done to check to make sure everything in her intestines looks good. 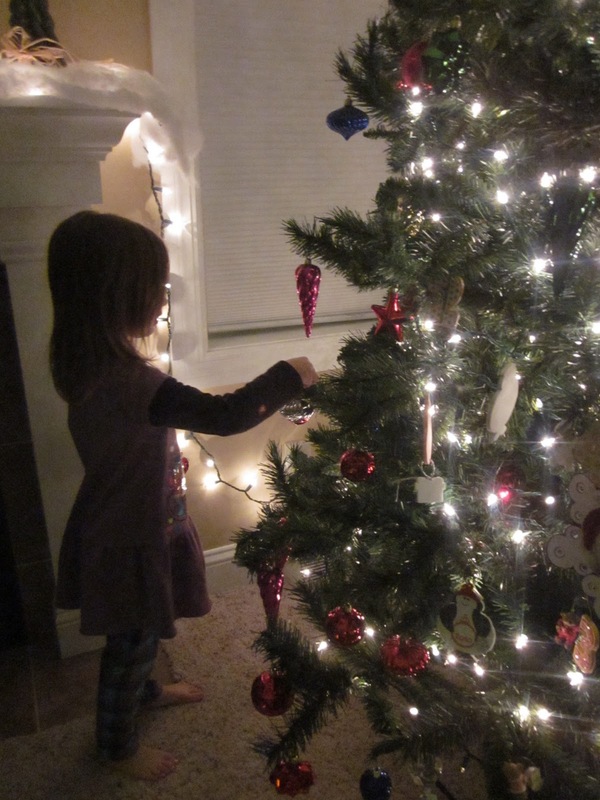 When we were in the hospital in December of 09, a test on her intestines showed "something" at the end of her intestines, however they didn't think it was anything of importance so nothing was ever done about it. So, this test would be performed just to make sure everything is working properly. Dietician - Dr. Brown is going to do some research and help us determine what diatician in the area is the best fit for us. I of course need to have someone familiar with kids and feeding tubes. Along with a Dietician, he will most likely get us set up with a occupational and speech therapist and a speech pathologist. I did inform him that we had speech therapy and OT through the Birth to 3 program and they are doing a great job - so he's not looking at replacing them just adding to our team for another opinion. We discussed with Dr. Brown that Allie is still vomiting and is starting to vomit more and more with what she is drinking orally. I talked to him about starting her on a blenderized diet and he thought it was a good idea. He would like us to start slow though. For now, he would like us to start her off on Nestle Compleat Pediatric - it's blenderized food. We would start by having this Compleat Pediatric food replace her Boost Kid Essentials orally and continue to put the Peptamen Jr. in her tube. If she tolerates the new food, then we can start putting it in her tube. I'm thinking I'm just going to start putting it in her tube. After all, my on-line research about Compleat Pediatric food says it's not for oral consumption - because of the taste. So, I'm assuming Allie isn't going to want to drink it - but you never know. We'll see but I'm just happy we can get her on something besides the milk. Once we get established with our pediatrican, I will work with her on blenderizing Allie's own food and not purchasing it through Nestle. Dr. Brown would just like us to try the Nestle as a "trial" and see how she tolerates it. The best news of all was that Allie grew 2 cm. With this growth in height, Dr. Brown is associating all of her excessive sleeping with a growing spurt!!! Wow - I'm thrilled. I have been praying that her height starts picking up because she is very short. 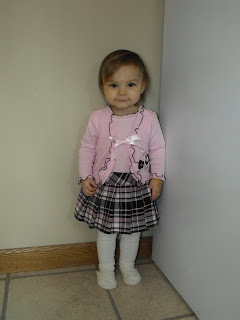 So little Allie is now starting to grow. She didn't gain any weight, however Dr. Brown was okay with that since all of her calories went into her height. So, way to go Allie Rae!!! 2) Checking her Ghrelin hormone - possibly just for a research protocol? 3) Checking her Leptin hormone - possibly just for a research protocal? So, overall Allie's appointment went well. We still have a long road and some decisions to make in regards to testing, etc. but I feel very comfortable with what we accomplished today. Dr. Brown thinks there is something medically wrong with Allie and that is causing her not to eat. He is very determined to help find us a diagnosis and I'm very thankful for that. Dr. Brown spent 3 hours with us today and I never felt rushed, I had adequate time to ask my full 2 1/2 pages of questions and he answered every question very thoroughly. Honestly, this is the first doctor that has taken a lot of time with us and really listened and asked questions about Allie and her medical problems. So at this time, I'm thinking Dr. Brown is a great fit for us. Now, the big decision as to what to do with the Children's Hospital???? So, tomorrow is another big day for Allie. We have an appointment with Dr. Brown (the GI doctor giving us a 3rd opinion) tomorrow morning at 9:00 am. This is our second appointment with him and we will be discussing what tests he would like to run on Allie. Matt and I will then decide on what tests we would like to proceed with and when. Of course it would be nice to get everything in before the end of the year - for insurance purposes, however like Dr. Rudoloph at Children's said, "you will be meeting your out of pocket amount for Allie for many years to come". 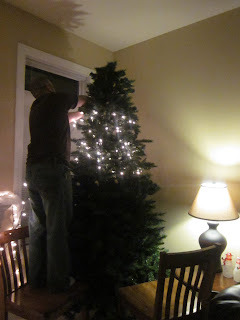 So, I guess if we don't get everything done this year, it really doesn't matter. Of course I am very anxious for tomorrow mornings appointment. I just finished writing down all of my questions and I came up with 2 1/2 pages chuck full of questions. There are so many things I have questions about I'm not even sure where to begin asking them. I will be so relieved when tomorrow is over. I made the mistake of telling Allie she was going to the doctor in the morning. I think I set myself up for a sleepless night. Allie gets anxiety about the doctors and sometimes doesn't sleep very well the night before. Even tonight she asked several times if the doctor was going to hurt. The good thing is, most likely, Dr. Brown will barely even touch her tomorrow. He might look at her mic-key button to make sure everything looks good, listen to her heart and lungs and that's about it. These appointments are not for checking her out but more for listening to the parents describe what has been going on and observing Allie in all her actions, etc. These are the type of appointments that I need someone there to entertain Allie because I am so focused on asking questions and listening to everything the doctor says. I know tomorrow's appointment will be lengthy and overwhelming with everything that is discussed, however it could also be the appointment that we figure out what is or could be causing Allie to not eat orally. So, to say I'm excited about tomorrow's appointment is completely an under statement!!!! Chloe also has a big day tomorrow. She is celebrating Thanksgiving at her preschool. All immediate family is invited but unfortunately, we will be at Allie's doctors appointment. I feel so bad that we are not able to be there with her. Seems like every time Chloe has something for school or dance, Allie has a doctors appointment. This is a prime example of how having a special needs child affects the whole family. Poor Chloe doesn't always get as much attention as Allie. But don't worry, Chloe will not be going to her school Thanksgiving feast without family. Grandpa Ray and Grandma Mary came down and will be taking Chloe for us. We are so thankful they were able to come and help Chloe celebrate Thanksgiving with her preschool friends. Allie has been doing pretty well the past couple days. The last time she threw up was on Friday evening so 2 full days without vomit is a good sign. She is still sleeping more than normal which is still a concern and I will be discussing that with Dr. Brown. Due to her excessive sleeping, we haven't been able to get all 4 feedings in during the day. I'm a bit nervous for her to be weighed tomorrow because I'm thinking she might have lost a little weight - but maybe not, you never know. Allie's oral intake is decreasing again and she is having a harder time eating things. She no longer can eat peanuts or M&M's. For some reason it seems as if she cannot swallow them. Not sure why that is happening but it is. I was telling Matt tonight that overall, Allie's progress with everything is going downhill. She is eating less and she is not able to handle the volume of feedings that she used to be able to. So, of course this is a huge concern. She really hasn't made any progress with her oral feeding or tube feedings in the past 6 months. I would be a bit more happy if she remained steady and plateaued, however she is declining at a slow rate. However, her speech is coming along great!! She is talking in full sentences and goes on and on for hours. It's still really hard to understand everything she says but she's working on it. I'm so proud of her for all the progress she has made with her speech. Well, below is a picture of what the girls look like right now. I guess it's time for me to go to bed too so I'm nice and rested for our appointment tomorrow. I'll update tomorrow afternoon with how Allie's appointment went. I'm hoping to have a very positive update!! Please continue to pray for our Allie Rae - thank you! 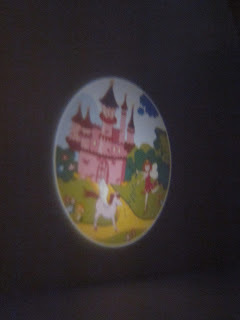 This is a new night light we bought each of the girls tonight - it projects on the ceiling. I don't know why but I think it's really neat. 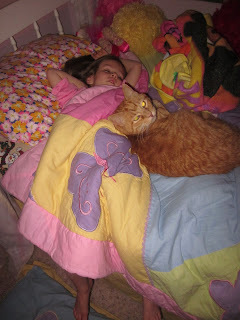 Allie sleeping peacefully - let's hope she stays sleeping tonight! Poor Chloe sharing the bed with Snickers. By the way it looks, Snickers is hogging the bed. Here is a little glimpse into how our meals are in the Berndt house. 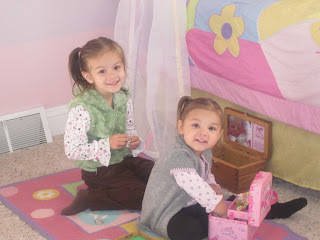 This is breakfast and Chloe and Allie sit at the island every morning and eat cereal or whatever they choose. 99% of the time it's cereal. Allie almost always has to have the same kind of cereal that Chloe eats, however Allie very seldom touches it. Before every tube feeding, we offer Allie her milk and something to eat. She is required to get 225 calories at each sitting so whatever she doesn't consume orally goes into her tube. On an average day, she will consume 50-80 calories by mouth so she is very tube dependent at this point. This video gives a typical example of how Allie eats breakfast or doesn't eat I should say. I have pretty much given up fighting her to eat and if she chooses not to eat, I'm okay with that. We have tried for 2 years to make Allie eat orally and nothing we do works. I am sharing this video so YOU can see what I'm talking about when I say, "Allie doesn't eat like a normal child". This is just one example but every meal is like this. In sharing this video, I'm also hoping that other parents who have children like Allie can relate and realize that you are not alone out there. In the last couple months, I have met several families with children like Allie and it's a relief to know we are not alone. 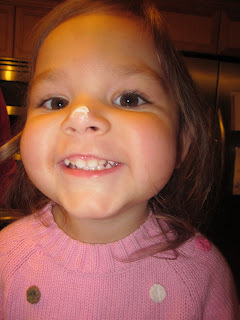 Here is a short vomiting story from this morning.....Allie and I did some errands and while riding in the van, she drank 3 oz of milk (Boost Kid Essentials 1.5 cal). Within 20 minutes of drinking it, we were at school picking up Chloe. Among all the parents and children, I started to hear Allie say, "no feel good mama, no feel good". I immediately asked Allie if she was kidding or was she really going to get sick. She said, "no feel good". We started booking it to the bathroom because often there is very little warning before the vomit starts flowing. I'm sure the parents thought I was rude as I was pushing through the crowd to the bathroom but I figured that was better than Allie throwing up all over the floor, especially because I had nothing to catch her vomit in. Today - I was unprepared because I never thought she would vomit by what she drank orally - normally her vomit is because of a tube feeding. Anyway, the minute we walked into the bathroom, Allie started vomiting. It lasted 5 minutes and everyone started asking if we were okay. We were fine - we are pro's at this!!!! I'm just thankful we made it to the bathroom. 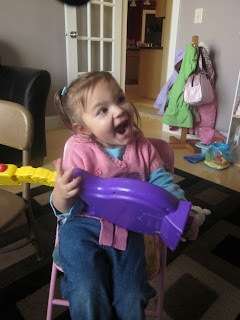 After Allie was done vomiting, she was right back to her playful giggly self. It seems as if Allie's vomiting is happening more often in public and it's stressing me out. If this keeps up, I will seriously be carrying a bowl and a towel with me at all times!!!! Having Allie vomit at home is one thing but it's a whole new level when it's happening in public. The video is a little long and probably boring for you, but it's the life we live everyday with Allie. This is a true breakfast of a 2 1/2 year old that doesn't eat orally. Actually, just the fact that she ate a bite or two and drank a couple sips of milk is a plus, plus she stayed at the table. Most of the time, she doesn't sit for more than 5 minutes - simply because she's not interested in the food.!! ENJOY! I'm sure not everyone wants to know the scoop on Allie's poop, however I'm going to share it anyway. As you know, last week I had to bring Allie's stool sample in to be tested. They discovered she had an abundance of pseudomonas bacteria in her stool. As our Pediatrician described it, "her stool was covered in bacteria, much more than a normal person's stool.". I quickly asked what she meant by "normal person". Basically she was saying that Allie's digestive system is not normal in a sense that she is pretty much on a liquid only diet. She said the bacterial growth may have been worse because of no or very little solids being processed through her system. Anyway, the doctor told me to giver her probiotics and see if it helps solidify her stool and bring it back to normal.. Allie has now been taking the probiotics and lets just say her pooping habits are again different. To be honest, I'm not really sure what "normal" is for Allie - it seems like it's never been quite right for her. However, her stools are now more solid, a bit less stinky and not happening quite as often. So, I would say the probiotics are working. My only problem is Allie's not pooping everyday. This is definitely not normal for her and I'm worried it's somehow contributing to her vomiting. Since the probiotics are working, we have come to the conclusion that Allie's body was not able to reproduce good bacteria in her system. She was on an antibiotic for Scarlet Fever about a month or so ago. This antibiotic killed all the good and bad bacteria in her system and for some reason, her system could not produce the good bacteria again so it was affecting her whole digestive system. The probiotics have now helped and we are assuming the "good" bacteria is back in her system full force. 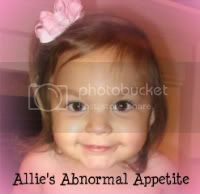 Last week when the nurse called about Allie's preliminary stool results, she said that the fat content in her stool was high. This would mean she had some type of absorption problem. However, the nurse has since called back and apologized because she had given me the wrong information. The fat in Allie's stool is considered "normal". That is one less thing to worry about, however I was hoping that this one piece would help us find an actual diagnosis as to why Allie will not eat. Poor little Allie - if it's not one thing it's another. Seems as if there is always something she is dealing with and there is always an unknown lurking above our heads. When I say unknown I don't mean the big medical mystery as to why she doesn't eat - I'm referring to all the little things that accompany a child with special needs. Her feeding tube in itself is a challenge but we also struggle with her vomiting, pooping, her post traumatic stress syndrome, continual doctors appointments, occupational therapy, speech therapy, oral eating therapy and mental health therapy. There is no doubt, Allie has a full plate and so do we. We meet with our GI doctor (still getting 3rd opinion) again on Monday at 9:00. I will have my long list of questions ready for him. Dr. Brown scheduled us into two time slots so I'm assuming the appointment will be lengthy. We should be able to determine what tests we want to run and when. I'm just praying this 3rd opinion and round of tests help us get Allie a diagnosis as to why she will not eat. This picture has nothing to do with this post but I wanted to share it because it's one of my favorites of the girls. Nothing could be worse than the fear that one had given up too soon, and left one unexpanded effort that might have saved the world. What a great extended weekend we had in Escanaba (our hometown). Matt was up at camp deer hunting and the girls and I stayed at my parents house. We were able to visit with a lot of family and friends and it was great to see everyone. Now that we are back in Wausau, we are back in routine. I do have to say being away from home is hard to stay on track for Allie's feeding schedules, medicine, etc. For some reason when we are "away", the days just go bye so much faster and we lose track of time and before we know it, we missed a feeding or two. Now that we are home, we have no choice but to get back into routine and get Allie back on schedule. It has been increasingly hard to convince Allie she needs to wear her backpack and pump 4 times a day. It's becoming more and more of a struggle every time we have to hook her up to her pump. I'm tired of hearing the words, "NO MAMMA". She screams it every time I have to hook her up for her feeds or give her her probiotics. It breaks my heart but I have no choice. Seriously, sometimes I have to have someone help me hold her down just to hook her up to her feeding pump. It's getting almost impossible because she hates it so much. Once she is hooked up, she does okay with it but continually asks, "done yet"? I feel like I"m punishing my child for not eating orally by making her be hooked up to her pump and backpack or giving her a bolus feed. Allie absolutely hates being fed by her tube and she doesn't enjoy eating orally so what am I to do? All of her screaming and fighting in attempts to avoid the tube feedings, is taking it's toll on me. After all, a mom can only hear the words, "no mamma" so many times. I know some of you may be thinking that I should just hook Allie up to her pump/backpack and feed her - END OF STORY. But when she is fighting me and kicking, screaming, holding her hand over her button or rolling all over the floor having a tantrum all in an attempt to avoid being hooked up, it's sometimes physically impossible for me to pin her down long enough to get her hooked up for her feeding. Not to mention, having to pin your child down 5 times a day for a feeding/medication is cruel. I know she needs this to survive but it's still hard to do. So, where did all this "anxiety" about being tube fed come from???? Allie never had any problems being fed with her feeding tube prior to MARCH 2010. When Allie had her peg tube removed and her mic-key button put in back in March every thing changed. The procedure to change out the peg and put int he mic-key button completely traumatized her. Allie has never been the same since that dreaded day. Her attitude towards tube feedings and just her behavior in general has changed. She is very stubborn and strong willed and when she doesn't want you to touch her mic-key button, she will not let you. Hence the whole reason she is in mental health therapy. I requested for Allie to be sedated for the 5 minute procedure but CHW told me it was against their policy to sedate children for this procedure. I didn't want her fully sedated just wanted her to have some verset so she wouldn't remember it. After all, it is a painful procedure. They are pulling a mushroom shaped "blocker" on the inside of her stomach through the small hole in her abdomen - ouch!!! I'm still mad at myself for letting the doctors do this to her. I wrote a letter to the hospital stating how it has traumatized Allie and how I feel that children should be able to be sedated for this 5 minute procedure. Every time we are at Children's for an appointment, I mention it to the doctors how Allie was traumatized and how it's not right children have to go through this everyday. At our last visit, the doctor confirmed they received numerous complaints like ours and they are now starting to look into the procedure and will most likely start sedating for the peg tube removal. If you have a child that is going to have this procedure done, I highly recommend you have your child sedated if possible. Don't get me wrong, not every child is traumatized like Allie but why take the risk. The doctors and nurses say the procedure isn't painful but I have seen Allie go through it and her screams and cries confirmed to me it's very painful - even if it only lasts a couple minutes. Ever since this procedure, it's been a struggle to hook Allie up for a feedings, however now that she is getting bigger, smarter and has her own opinion on things, it's becoming increasingly hard to hook her up for a feeding. If anyone has any experience or advice on tube feeding a toddler that doesn't like to be tube fed, I would love to hear from you. I will leave you with a coupe pictures of Allie back in March 2010 - the day she had her peg tube removed and her mic-key button put in. 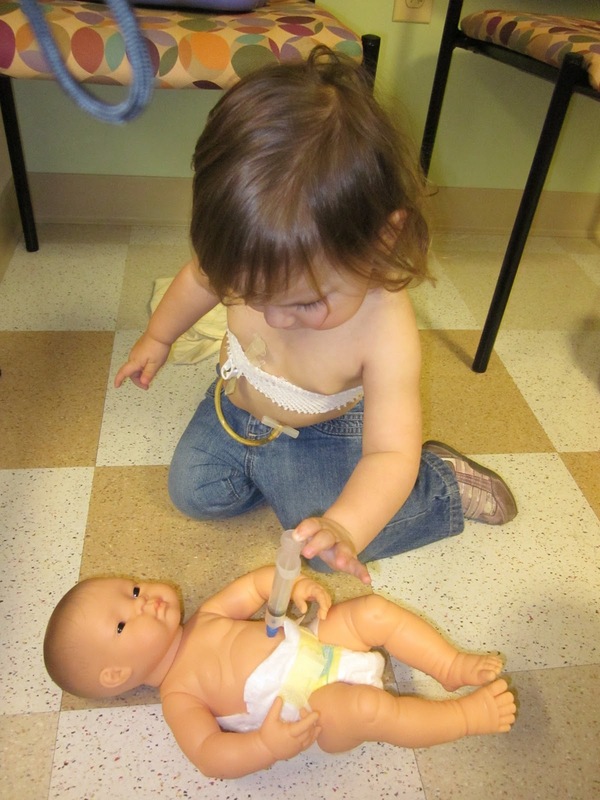 This is Allie at 2 years old - this is the day she was having her peg tube removed and her mic-key button put in. It was a very normal relaxing drama free day at our house yesterday. I'll take these kind of days anytime. The drama filled days are too stressful and who needs more stress in their lives - surely not me!!!! Actually yesterday was extremely quiet. 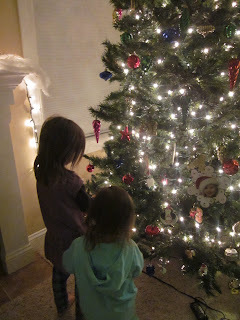 The girls and I ran errands in the morning and then came home and colored some pictures and read books. Before we knew it it was time for lunch. Allie was very adamant about wanting oatmeal for lunch today. I found it interesting because normally she could care less what food I put in front of her. Everyday I let the girls pick what they would like for lunch and almost always, Allie never has a preference. But today, she wanted oatmeal and she was getting it no matter what (according to her). Of course when she requests a certain food I give it to her so oatmeal she got. To my surprise, she actually age a small amount. I would say she ate about 15 small bites. Some of you may be thinking that's not a lot, but for little Allie Rae, that's a lot, trust me!! So, lunch went well and it always warms my heart a little to see Allie eat. Every time she eats, I always think......maybe a miracle is happening and she will continue to eat. And, every time I think that, I quickly realize at the next meal, there was no miracle and she continues to not eat. We went for supper tonight at Buffalo Wings and Rings and we got Allie some corn dogs and applesauce, she didn't eat much only about 2 bites of corn dog and 1 bite of applesauce. That's alright though, she had fun dancing in the booth and singing, "Jesus loves me yes I know, for the Bible tells me so". She loves that song and will gladly sing it for you when you see her. Anyway, enough about food. 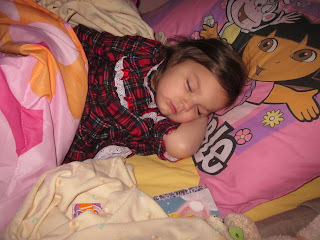 I think part of the reason our day was so uneventful was because Allie slept all afternoon. She went down for a nap around 1:30 and I tried waking her up at 4:00 and she wanted nothing of it. 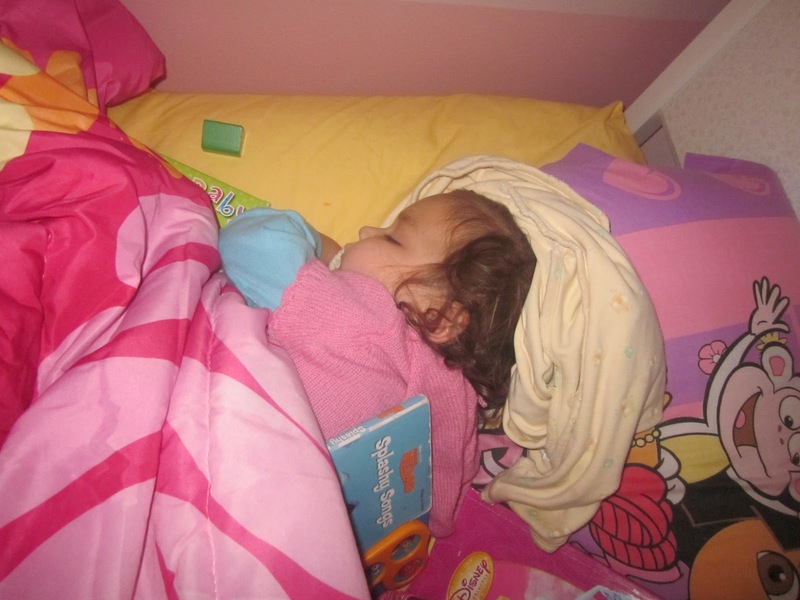 Every time I would talk to her she would scream at me and cover her head with her blanket. Sassy - she must take after her dad because I would never do something like that. Finally at around 5:30, I was able to wake her up. I actually video taped it because I figured once she saw the camera, she wouldn't yell at me. She loves to be video taped!! I'm very concerned about how much she's sleeping. I'm praying she's just going through a growing spurt but of course we don't know for sure. All of her blood work came back normal yesterday so I don't know what to think. We see Dr. Brown again on the 22nd so I'll have to discuss it with him again so we can figure out what's going on. When Allie is awake, she is playing and giggling like normal so our Pediatrician wasn't too concerned but it's starting to concern me a lot. So, I'll have to start pushing for answers! 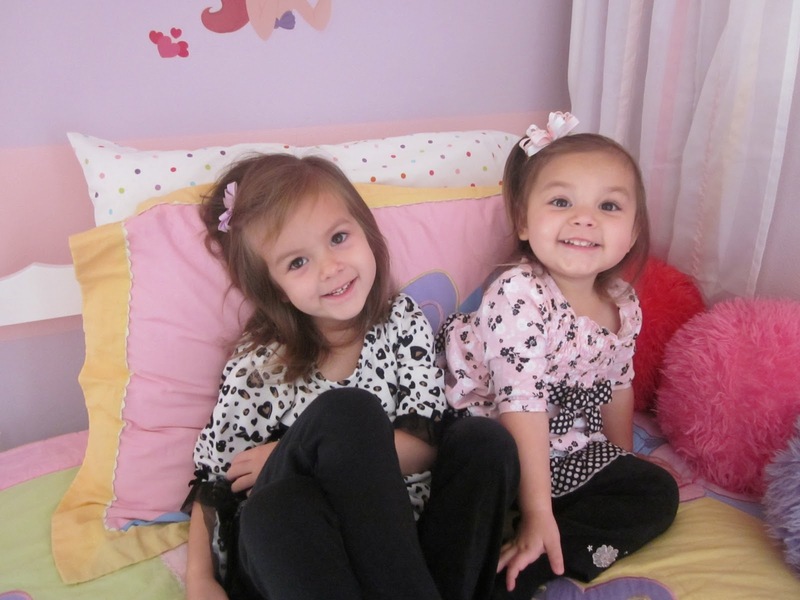 I met a friend on-line that has a daughter just like Allie. She lives in California and we got to talk on the phone Tuesday night. 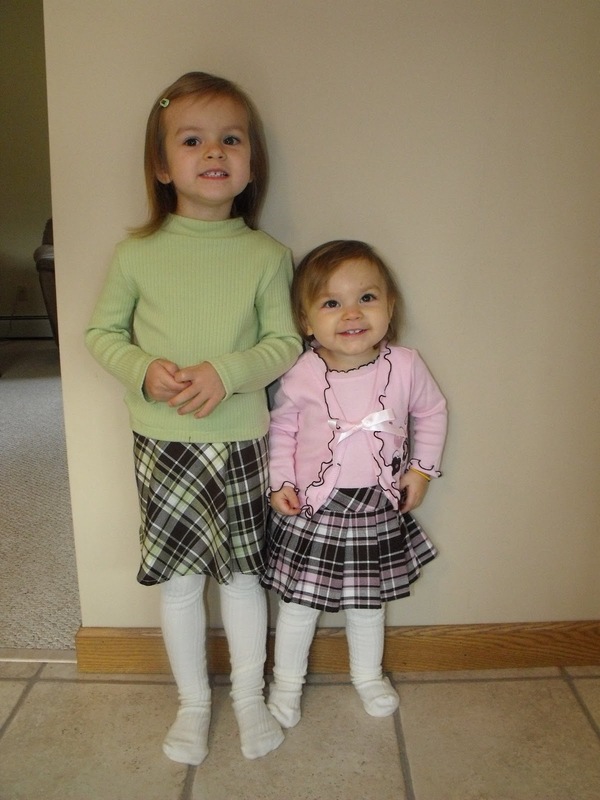 It was great sharing our daughters stories and I'm still amazed at how similar our daughters are. For so long I thought Allie was the only child that had the ability to eat but refused. All of our doctors made us seem "strange" and basically couldn't give us any definite answers because they haven't seen a child like her. There is definitely comfort in knowing you are not alone in the world. Even though Ava (our new friend) is at a different stage in her tube feeding process, our medical stories are basically identical. Ava's mom, Stephanie was able to provide us with a lot of information in regards to how and what they feed Ava through her tube. Their feeding routine is very different than ours but just hearing their feeding regimen has opened my eyes to new ideas and options I never thought of. So, thank you Stephanie for sharing with us. I look forward to Allie's tube feeding adventure - even though deep down, I wish she would just eat! I'm so happy our families have crossed paths and we look forward to staying in touch. 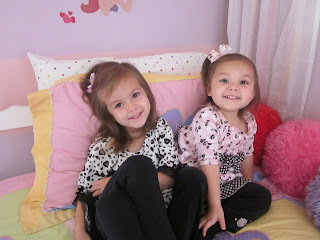 Everyone, make sure to check out "The Kelley Girls" blog - I have their link on the right side of my page. Good luck to all the deer hunters and stay safe. Hope everyone has a great weekend! I tried to upload a video of me waking Allie from her nap yesterday but it wasn't working, so I'll end with a picture instead. I'll try uploading the video later today. 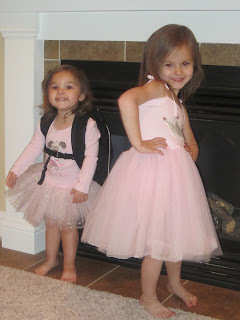 Chloe and Allie in their new dresses from Grandma Mary & Grandpa Ray. Thank you, the girls love them! I brought Allie in this morning to see her Pediatrician and the first thing her Pedi said is, "Wow, Allie looks great". I said, "thanks she is actually doing pretty well, hence the reason I didn't really want to traumatize her and bring her to the ER yesterday." The Pedi examined Allie and determined that her lungs sounded great and she said that no chest X-ray was needed. I got the feeling that nobody knew if anything was wrong with Allie - they just wanted to take precautions because of the pseudomona bacteria that is in her stool. Dr. Sweet said that her stool grew a lot of the bacteria - more than a normal person, however since Allie's GI track isn't "normal", she said it's probably okay for her. That really doesn't put me at ease and I'm not sure I'm okay with that. Pseudomona bacteria can be very scary and even Dr. Sweet said that we have to watch it very close because it can easily spread and become a life or death situation fast. So, my first question was.....what do we do about it and how do we get rid of it? Dr. Sweet said that she wants us to use culturelle children's probiotic's daily for a couple days and this should help firm up Allie's stool. If her stool is still abnormal early next week, we need to bring her back for another stool sample. 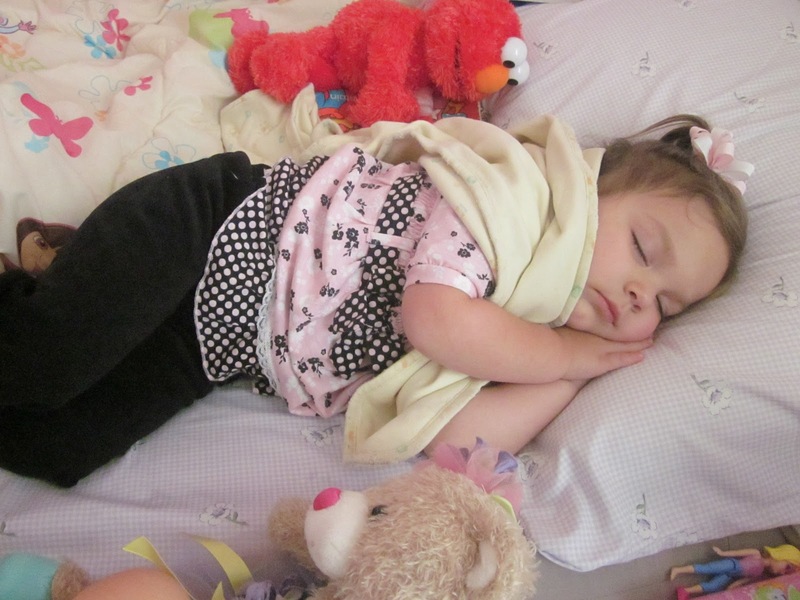 In the meantime, if she gets a fever or starts sleeping anymore than she already is, we have to bring her in. So, let's just say I will be watching Allie very closely these next couple days!!!! The lab tech just called with the results and everything came back NORMAL! Of course everything came back normal, every test we run on Allie comes back normal. The only abnormal test result we ever got in our 2 years of testing has been the gastric emptying test. It's a relief to get normal results but frustrating because we still don't know anything more than we did yesterday. We will try the probiotics and see if they help. Dr. Sweet does not want to give Allie anymore antibiotics at this point because she feels it will do more harm than good to her system. So, we are sitting ducks and waiting to see what happens. Praying nothing happens and Allie gets back to normal VERY soon. After our appointment, we met Matt and Chloe for lunch at Arby's. Allie drank about 2 oz of milk int he van on the way there and once we got there, she only ate 1 bite of a french frie. 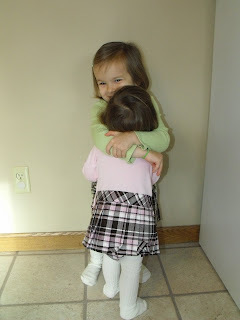 She was acting completely normal, giggling with sister and of course being loud. All of sudden she coughed and I asked her if she was okay. She starting saying, "no feel good, no feel good". This is when you know she's going to throw up. It was lunch time so Arby's was busy and people were everywhere. I told Matt, quick go ask for a bowl and get extra napkins". I was reaching for anything to catch vomit and all I could think of was the tray. Within seconds, Allie started gagging and vomiting. Poor Allie was struggling to get anything up - keep in mind she only had a little bit to drink about 15 minutes before this. Everyone was watching us and I was very uncomfortable. I of course caught the vomit like a pro and kept her face clean and just talked her through it like normal. I can only imagine what everyone was thinking - it was a very awkward situation and we were smack dab in the middle. Let's just say that as soon as she was done vomiting, we packed up and high tailed it out of there. Pretty sure I won't show my face in there for a while. Poor Allie - I'm just so thankful she is too young to understand that everyone was watching her and wondering why she was throwing up and in such large amounts. So now I sit and ponder why she threw up. We didn't tube feed her so her stomach wasn't pushed to the limit. She only drank 2 measly ounces of milk and that was all. Frustrating!!!!! So, that's what our day was today - basically we didn't find anything out, like usual. I'm praying the probiotic's help Allie and her digestive issues because nobody likes having the diarrhea for 3 weeks straight! Thanks for all of your prayers today - we really appreciate it. I'll end with a picture of Allie napping (right now actually). She was scared to take a nap this afternoon, she kept saying, "doctor come in my room and hurt me". It's just heart breaking to see how traumatized she gets when going to the doctor. I feel bad for my little pumpkin! As some of you may know, it was an interesting day yesterday in regards to Allie and her medical issues. I received a call from her GI doctor (Dr. Brown) and he said that we needed to bring Allie into the ER right away for evaluation. Her stool sample had grown pseudomonas bacteria which can potentially be very dangerous. In addition to the bacteria, Allie has been having very abnormal stools the past 3 weeks, she has had a persistent dry cough and has been sleeping much more than normal. With all of these items, Dr. Brown and our Pediatrician felt she needed to be brought to the ER. I immediately contacted our Pediatrician and started asking questions since I didn't really feel like Allie needed EMERGENCY treatment. However, of course I didn't want to risk anything for poor little Allie so I was going to do whatever they suggested. After talking to our Pediatrician, she contacted an Infectious Disease specialist at the Marshfield Clinic and he recommended we keep Allie out of the hospital due to many other virus and bacterial bugs she could pick up with a suppressed immune system. So, our new plan is this: Allie is seeing our Pediatrician today at 11:45. She will get fully evaluated and after the exam, she will get chest X-rays to rule out phenoma and then she will get extensive blood work done to check for any bacterial infections, etc. (According to the infectious disease specialist, it does happen that pseudomous bacteria shows up in stool but it's not a big problem) I am hoping we get some results quickly because I'm very nervous about all of this. On the outside, Allie seems to be doing great and playing like usual, unfortunately, all to often with children who have GI issues, there is more going on inside than we know. So, I'm anxious to get Allie to the doctor and get everything checked out so we can treat what is needed and continue on to get her healthy. I will update later today with what we find out. Please keep Allie in your prayers that everything checks out okay and all test results are in our favor. It all started yesterday when I woke up. I had a bad tooth ache but didn't think to much about it. I was just at the dentist a couple months ago and got a good report, no cavities or anything. So, I thought maybe my gums were just a little irritated or something. By 9:00 last night my right side of my mouth was throbbing in pain. I took a couple Advil and went to bed. I was up most of the night in pain and no medication was helping me. I called the only Dentist in our insurance network this morning at 6:30 and and talked to the emergency line. They said they would call me by 8:00. Well, no call so i called them. They informed me their computers were down and would call me as soon as they could get their schedules set. It was 9:30 and I still hadn't heard from them so I called back. Imagine that, their computers were back up and running and they forgot to call me. They couldn't get me in today but they could squeeze me in first thing tomorrow morning. By this point, I was in tears because the pain was so bad. I got frustrated with the lady and told her I would find another Dentist that would take me right away. I bit my tongue because they are the only dentist our insurance covers - so looks like I'll be paying for this "emergency" service. I called another Dentist office and they could get me in at 12:30. That was better than tomorrow so I booked the appointment. I was now running late and Allie had her mental health therapy at 10:00. We hopped in the car and drove like the dickens to her appointment. We were late (being late is my pet peeve). The last place I felt like being was in Allie's mental health therapy. I was already frustrated about my tooth and not being able to get into the Dentist first thing this morning and now the pain was almost unbearable. The Therapist kept asking me if I was going to be okay - I felt like an idiot but my mouth really hurt. Many of you know me and I have a very high tolerance for pain. I very seldom complain about pain but this was almost as bad as having a baby!! After Allie's appointment, I came home and took more Advil - unfortunately it wasn't helping the pain at all. Matt came home at 12:15 to watch the girls and I high tailed it to the Dentist. They took me right away and I was there for 2 1/2 hours. After many X-ray, we figured out what tooth was the problem. The only quick solution was to do a partial root canal and then come back in a couple weeks and have a full root canal. Once he said the word root canal, I was a nervous wreck. I asked right away if I could be gassed so I was at least a little bit calm. Let's just say I was more than "happy" after a couple minutes of breathing the laughing gas. Half way through the procedure, I had to ask them to turn the gas down because every time I closed my eyes I was spinning and feeling like I was falling out of the chair. I wasn't worried at all about what they were doing to my tooth - it was actually kind of nice. Everything went really well and I was out of there in 2 1/2 hours. My tooth was infected too so now I'm on antibiotics and Advil/Tylenol for the pain. I feel so much better now that the pain is gone. Apria was suppose to come to the house with Allie's new pump this afternoon. Finally at 4:00 pm, I called the Marshfield office to see if they were still coming. When I talked to our representative, he acted like he didn't even know he was suppose to be here. I was so irritate with him and I was already having an awful Monday. He said he had a really busy week and didn't know when he could get here. I used my voice again and told him I expected to see him tomorrow morning with Allie's new medical equipment. I told him I wasn't waiting any longer and if he didn't come here tomorrow morning, I was driving there. Seriously.....what the heck is wrong with this medical supply company???? I know they are only human, but they were adding to my awful Monday and I wasn't very happy!! I decided to call Dr. Brown's office to see if they received any results on Allie's stool test. The nurse called me back and said they did have results. She said that everything looked normal except for the fat content in her stool. I asked her what we have to do about that and what it all means. She said she would have to talk to Dr. Brown and get back to me tomorrow morning. From my research on-line, high fat content in poop means that your body is not absorbing all of the nutrients she is eating. This could be related to her pancreas not working properly or even Celiac disease. I am very anxious to see what Dr. Brown has to say about this. Of course I have mixed emotions because for once they found something but I'm not sure it's a good thing. I'm a bit surprised they didn't find any bacteria in her stool because Dr. Brown was pretty sure she had C. Diff. Since she doesn't, we are going to have to still figure out why her stools aren't normal and why she is is sleeping 4 or more hours for her nap. The sleeping part is really starting to bother me because it's just not like Allie to be sleeping so much. Hopefully we can get to the bottom of that real soon. Since it was such an awful day with rushing here and there and me not feeling well, Allie didn't receive any of her feedings. I know - that's very bad of me but I broke the rules and let her have her milk in the van while driving to our appointments, etc. She drank a total of 8 oz of milk throughout the day. When Matt got home from work we decided to go for pizza at a fun place for the kids. Since Allie hadn't eaten anything all day and only drank a little milk, we figured she would pig out since pizza is one of her favorite things (when she does eat). Not quite - she only had 3 bites of pizza and 2 sips of water. Disappointing no doubt but 3 bites is better than 0. That was my awful Monday - how was yours????? Sorry for all the venting but I feel much better now. I'm ready to call it a day, crawl into bed and face a new day tomorrow! I'll end with a couple pictures of the girls.....they always put a smile on my face. It's been a nice relaxing weekend around the Berndt house. Allie had a good weekend and the vomiting stayed away for Saturday and Sunday. Now that she is wearing the pump and backpack so much, it takes a little more effort to go somewhere. On Friday morning Allie and I had to go to the bank and take care of a couple things. I'm still not comfortable taking her in public when she's getting a feeding because her vomiting is so random and you just never know when it's going to strike. Well, the lady at the bank was taking forever and Allie was getting close to the end of her feeding so I was getting nervous that she could vomit. There was a line of people outside our representatives office and everyone was watching us. I'm assuming they were all watching because Allie was wearing her backpack and they were curious as to why she was hooked up to it. 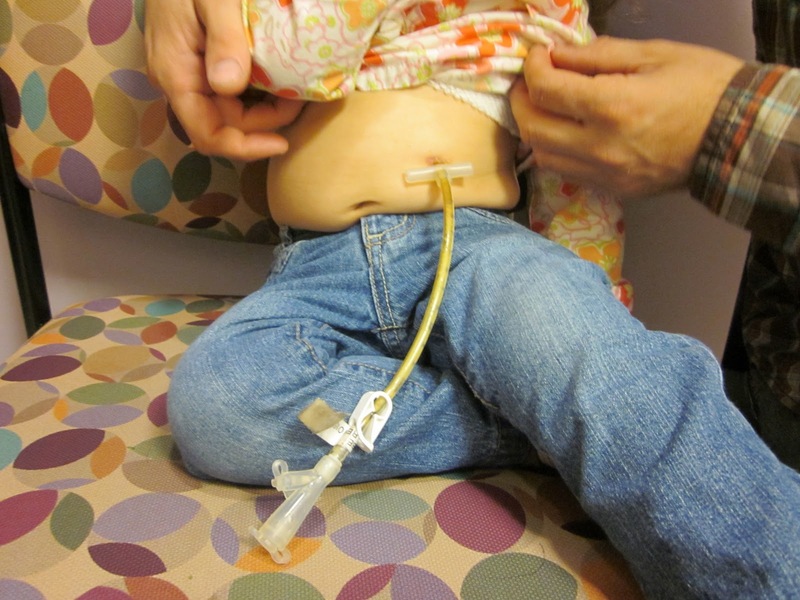 As many other tubie mom's now, a lot of people are not familiar with tube fed children and how it all works. From day 1, I have never been comfortable giving Allie bolus feeds in public - the only reason being is her vomiting issue. However, with the backpack her vomiting has reduced quite a bit so I figure we should be safe. Allie had about 30 cc's (1 oz) left for her feeding and she was starting to cough so I decided to turn off her pump. Coughing is the first sign that she is going to vomit. Allie was continuing to cough and everyone was watching us. I was scrambling to find a garbage can because I just knew that in a matter of time the vomiting was going to make it's arrival. Allie continued to cough and say, "no feel good". As soon as our representative returned, I told her we had to leave and if she needed anything else from me, I would come back later. Allie and I rushed out the door and I was relieved when we hit the pavement and she hadn't vomited inside. I figured she would vomit once we got in the van and as many of you know, I could live out of my van so I knew I would have something for Allie to throw up in. I strapped her in and gave her a random bowl from the van. Sure enough, as soon as pulled out of the parking lot, Allie threw up. Fortunately she only threw up about an ounce. After throwing up, she was fine and back to her giggling self! It still amazes me how she can feel so awful, throw up and then be right back to normal. Poor little girl must be so confused as to why she vomits - I just hope Dr. Brown can help us. Besides this vomiting episode, Allie has been doing great. Of course now I'm still nervous to be in public when she gets a feeding but I know one day I will feel comfortable with it. If Allie's vomiting wasn't so random, I wouldn't mind feeding her in public at all. I think it's important that tube fed children get fed in public so that the general population can become more aware of tube feeding and learn to accept these children. So, I hope that one day soon, I can feed Allie in public with confidence so I can help spread the awareness of tube fed children. Here is a little video of Allie showing you her backpack and pump. Allie gets her new pump tomorrow and we are very excited about it. Allie seems pretty excited too - just getting a lighter pump and smaller backpack will make her happy!!! Hope everyone has a nice night﻿!